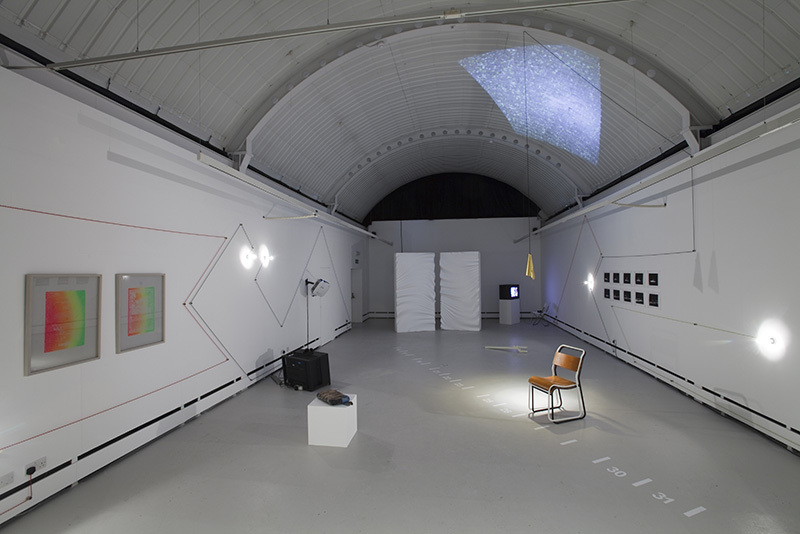 The group exhibition The Starry Rubric Set (the title taken from a quote from Milton’s poem Paradise Regained) considers classical astrology as a device to bring together new works made by artists who were in residence at Wysing during 2011 as part of The Institute of Beyond and to introduce the three themes of Wysing’s 2012 programme: The Cosmos, The Mirror and The Forest. The exhibition includes site-specific works, moving-image, sound work, sculpture and prints that loosely explore systems and structures of space and time. A central principle of astrology is integration within the cosmos. The individual, Earth, and its environment are correlated with each other as one; time and space is equivalent. Changes observed in the heavens are therefore reflective of similar cycles of change observed on earth and within the individual. As above, so below; as below, so above. There is a symmetry in the individual as a microcosm and the celestial environment as a macrocosm. There are a number of parallels between classical astrology and John Latham’s Time Base theory. 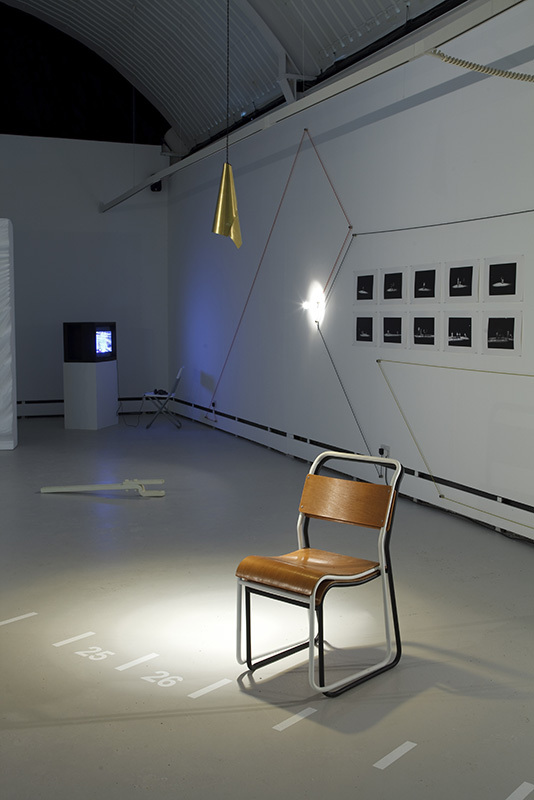 Across the centre of the gallery space is a reproduction of the time base spectrum from a performance of Latham’s The Government of the First and Thirteenth Chair. Alongside are reproductions of the original 1978 performance at Riverside Studios. The spectrum is made up of 36 bands, from ‘least event’ (1) to ‘universe as event’ (36). The story of humanity occupies the 13 bands from 17 - 30. Human experiences lower down the spectrum are baser and more animalistic, higher numbers represent more enlightened experience. 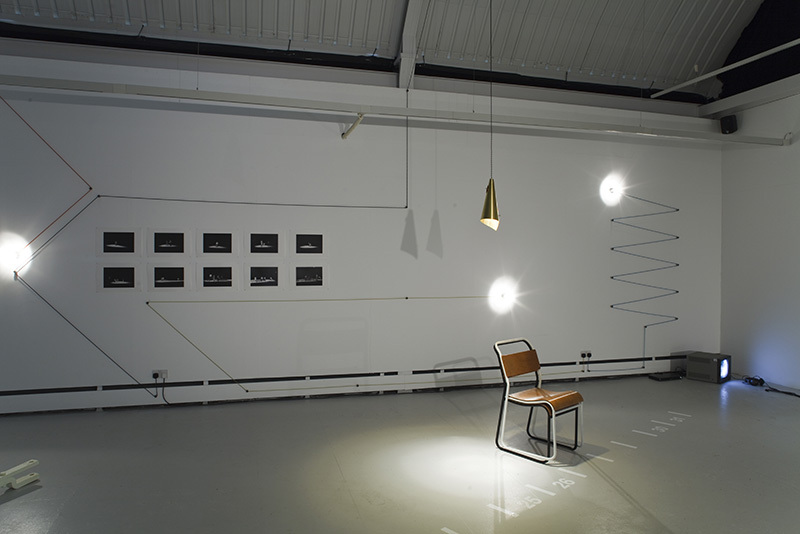 Two stacked chairs are positioned on the time base, one painted black, represents the least event. The other, painted white and stacked on-top, represents the universe as event. The two chairs stacked illustrate Latham’s system of understanding the universe. The exhibition is lit by a new installation by Giles Round. The Diagonals of March (for Diego Rivera) uses two full walls of the exhibition space. The idea for the work was conceived in the house of Diego Rivera and Frida Kahlo and uses the same plaited cabling and lighting structures as employed in Mexico. The geometric mural of coloured cabling ends in a series of spotlights which illuminate the gallery space. Projected on the barrel roof of the gallery space is Kate Owens’ screensaver By the Pricking of My Thumbs. Evoking the celestial in the mundane, the work consists of a series of photographs of linoleum which slowly fade from one to the next. Below Kate Owens’ work sits Rob Filby’s John Deere Drawbar 2140, a piece of farm equipment that has been reconditioned with phosphorescent (glow in the dark) paint. The work is charged by the lighting around it which forms its physical memory. 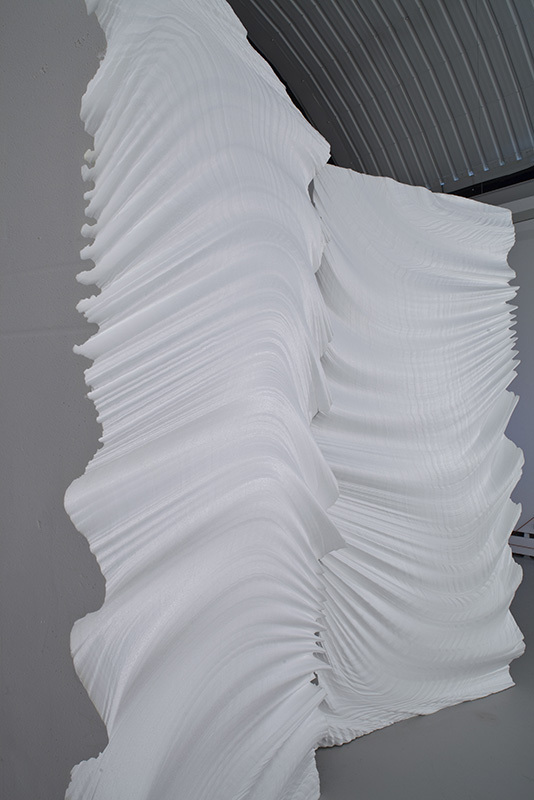 A new commission, Slowly Crunching by Nicolas Deshayes consists of two large polystyrene panels at the end of the space. The rear of the work is coated in phosphorescent paint and serves as a projection screen for Karin Kihlberg and Reuben Henry’s film This Story is About a Little Boy. Images from the film burn into the paint forming a lingering after-image. The work is a reconstruction of a film according to its recollection through subjective memory. A friend of the artists was asked to recall a film which had moved him in some way and made an impression on his life. His recollection of The Fallen Idol by Carol Reed was recorded and used as the narrative structure to re-edit the visuals of the film. Confusions, alterations, hesitations and added events were reanimated in the reconstruction of the film-as-memory. Between screenings of This Story is About a little Boy, Laure Prouvost’s sound work This Voice – Pink could can be heard throughout the space. This work, a visual work described through sound, addresses the audience directly and personally. 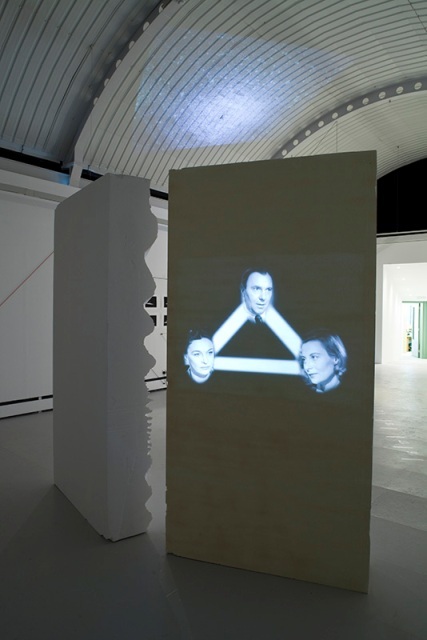 Also included in the exhibition are two video works by Prouvost, Sculpture of Grandma and Finger Point Green. The two works recorded from Prouvost’s perspective show her attempts to describe artworks by her conceptual granddad and grandma. What is before the camera obscures what Provoust is attempting to describe. Marjolijn Dijkman’s Wandering Through the Future is a video collage of fragments of 70 film productions from all over the world. Passing all sorts of apocalyptic landscapes and scenarios, the one-hour video leads you through the future from 2008 until 802.701 A.D. in order of appearance. The film tries to examine the way the future has been given shape and how the different scenarios relate to each other. Ruth Beale’s prints Acid Utopia and An Epoch of Rest are hand-drawn reworkings of a 19th century frontispiece and a date-stamp page respectively. The images are from two different library copies of News from Nowhere - Williams Morris’ tale of a visitor to a future pastoral idyll where workers are content and formal education is obsolete - one a historic first edition held in the British Library, and the other the only copy held by Southwark Libraries, Beale's local library service. 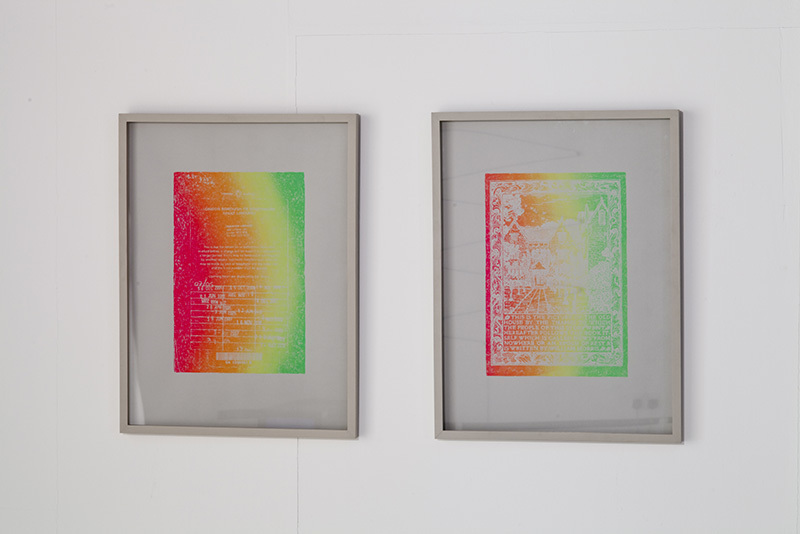 They are part of a series of works that layer investigations into libraries and books with acid trip-outs, to explore the tandem possibilities of mental and social emancipation. Outside of the gallery onsite are Hilary Koob Sassen's Mannerist Bollards. The wrought steel sculptures form an endpoint amidst Wysing's winding concrete. They also serve as a stage for a performance and as bolt plates capable of supporting sculptural elaboration. A new publication by An Endless Supply accompanies the exhibition. 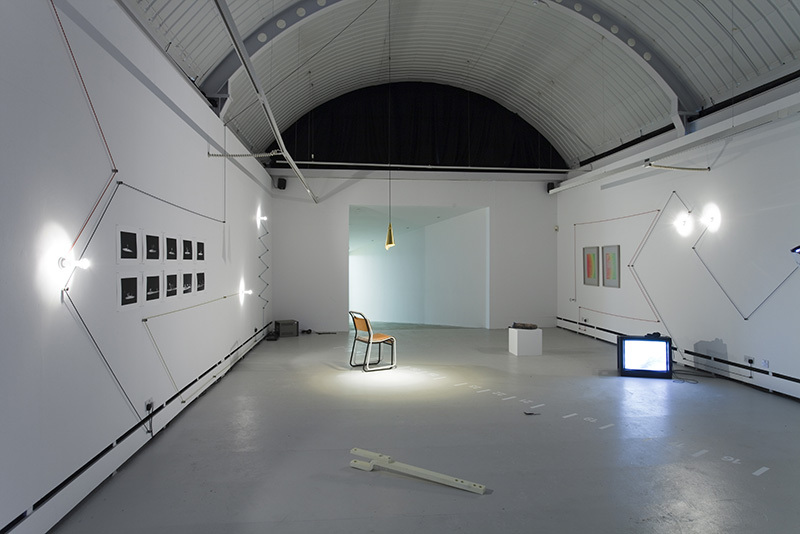 The publication collates responses to the proposition "From your position, predict two points in motion that will come into alignment" from 45 contributors to Wysing’s 2011 programme.